Venezuelans took to the streets of the capital on Sunday (March 31) to fill up water buckets, amidst failing infrastructure in the OPEC nation's capital. 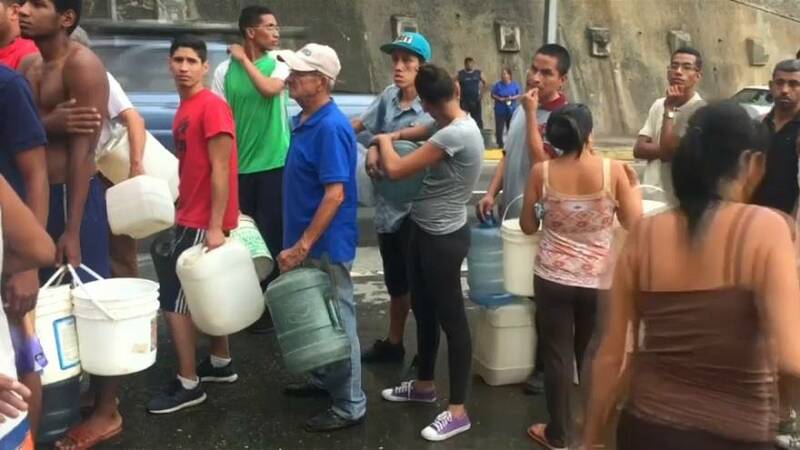 From the poorest slums to the wealthiest neighbourhoods, the shortage of water cuts across Venezuelan society as families endure the country's deepest ever economic crisis. A 5-litre bottle costs about $2 at a Caracas supermarket, out of reach for many low-income people in Venezuela, where the monthly minimum wage is only around $6 each month.